Will the Domino Pizza Drone Pave the Way for a CondomCopter? 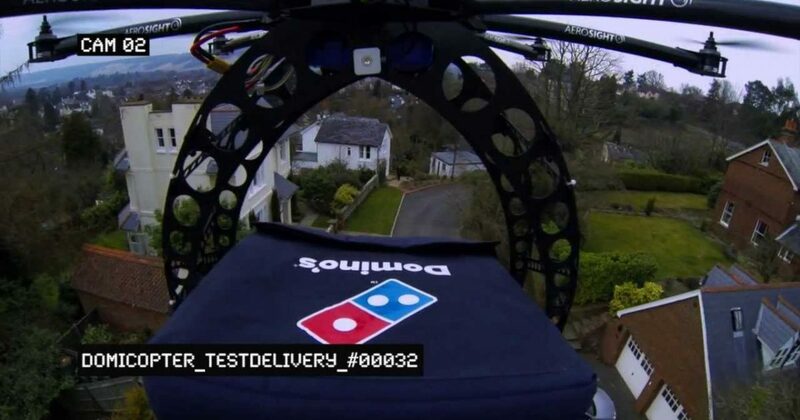 Will the Domino Pizza ‘DomiCopter’ Drone Pave the Way for a CondomCopter? Currently, it’s just a publicity stunt, but it has limitless possibilities if it comes to pass. Think ‘medical marijuana’ and Chinese food. Wait! Why limit it to egg rolls, doobie paraphernalia and pizza – how about a CondomCopter? That would work! It would work like this: Let’s say after eating too much pepperoni pizza, ahem, pepperoni-style passion ensues. That would be the time to call the CondomCopter and request a delivery of the accoutrements necessary to make the night complete. If you used up all your spare change on treating the girl of your dreams to Domino’s pizza, fret not; with free contraceptives and all, the delivery will come directly to your doorstep compliments of the American taxpayer. The good news is that there’s no need to tip a drone. If the system works out, in the future the CondomCopter can double up and make short work of fulfilling the amorous needs of romantics all across America by offering a combined pizza-and-prophylactic drone delivery package.